Jeffrey Austin stands in the Skyline Writing Center. The school district known for brains and brawn also boasts some exceptional poets, writers, editors, photographers and artists. Skyline High School’s “Teen Spirit” magazine has again been named the best high school literary publication in the state for 2014 by the National Council of Teachers of English. The magazine also won in 2013. Skyline English teacher Jeffrey Austin, who is also director of the Skyline Writing Center that publishes “Teen Spirit,” is deservedly proud of his students. “This award is especially great because it shows the smart, creative, and thoughtful students that we’re all helping to inspire everyday,” he said. He said it’s rare for publications to win back-to-back because it requires being rated superior by every judge in every category for two consecutive years. The award is a credit to the Writing Center tutors and the editorial board who worked long hours over several months to put out the best possible publication, said Austin. 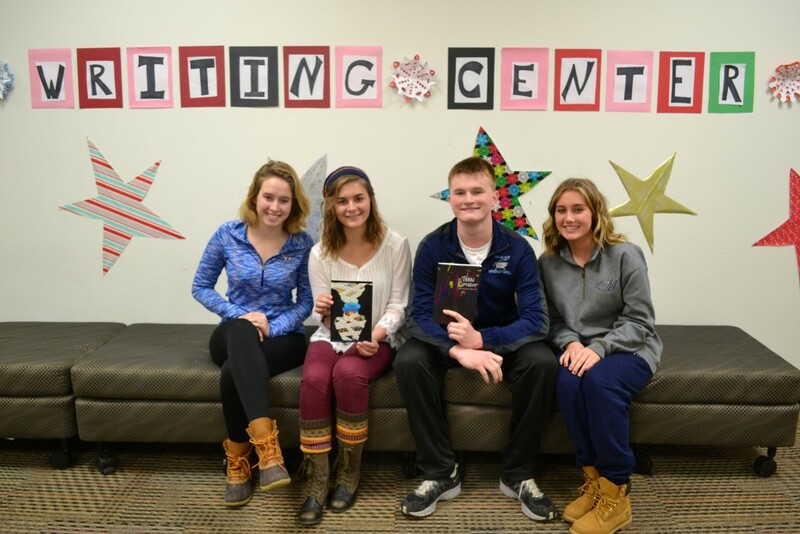 The Skyline Writing Center was started in the 2012-2013 school year to help students become better writers through the assistance of their peers. Students earn class credit for being tutors, and their tutors help their peers in classrooms, in the Writing Center, and in Skyline’s Online Writing Lab (OWL) every day. When students aren’t tutoring, they are working on “Teen Spirit,” improving the Writing Center in task forces, and reflecting on their tutoring practice through the feedback they receive. 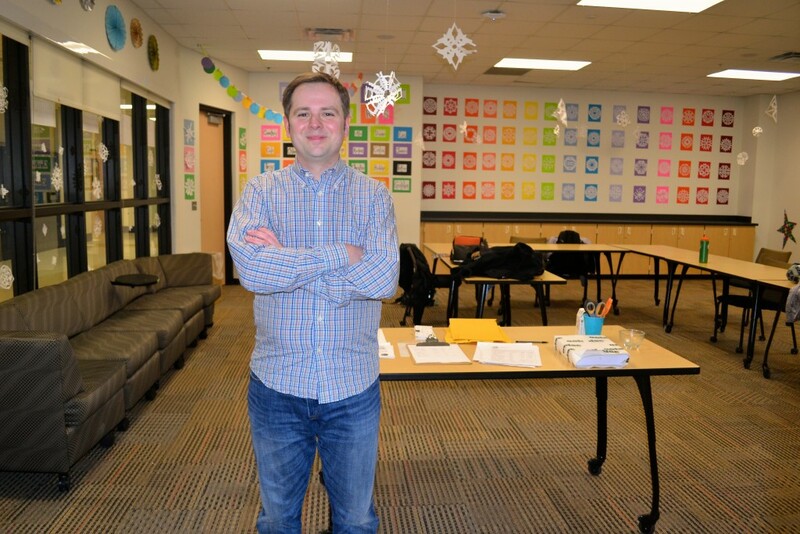 Skyline Assistant Principal Casey Elmore says The Writing Center is a valuable resource partly because it is peer-led. “Since it’s been initiated in the building, we’ve definitely seen improvement in writing scores,” she said. Junior Kevin Kelliher said tutors help fellow students understand the flow and concepts of writing, and help them revise their work. Senior Meredith McDevitt is in her second year tutoring, and says the peer-to-peer aspect is the best part about it. Kids stop into the Writing Center with all kinds of writing-related questions, from structure and organization to specific problems, said tutor Ella Horwedel, a junior. She said the English Language Learners (ELL) class sometimes stops in just to practice English with the tutors. Skylar Burkhardt reached out for tutoring from the Writing Center when she was a sophomore, and realized she wanted to be a tutor herself when she became eligible as a junior. And Chloe Fraleigh became a Writing Center tutor after she sought some writing help herself. Austin said writing is a way of making thinking visible. Last year’s editorial board—who deserve much of the credit for this recent award—included Adriana Hassan, Stina Perkins, Lillie Schneyer, Danny Vincenz, Abby Shotwell, and Ethan Cannaert, all of whom graduated in 2014.